There are many private, public and charitable landowners who prohibit grouse shooting on their moorlands estates, having previously permitted it, and now maintain the land using other methods. These case studies give just a small oversight of what can be achieved when the uplands are managed in the interests of wildlife, habitat, leisure and the economy. Where moorlands wish to retain the traditional presence of a shoot, simulated grouse shooting offers a sustainable, economically-viable solution. Purple heather in bloom at Houndkirk Moor. The Sheffield Moors Partnership (SMP) was formed in 2010 to bring together landowners responsible for managing a large section of the Peak District National Park, which includes several former grouse shooting moors. 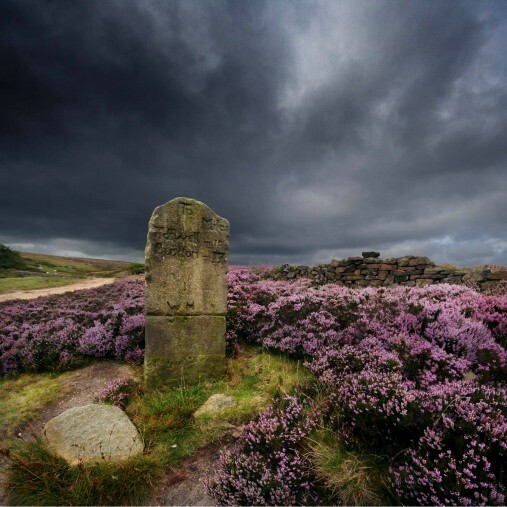 This includes North Lees / Stanage Estate, owned by the Peak District National Park Authority, Burbage, Houndkirk and Hathersage Moors, owned by Sheffield City Council and Blacka Moor, owned by SCC and managed by the Sheffield Wildlife Trust. SMP members have succeeded in restoring habitat and achieving a section of the uplands rich in wildlife. 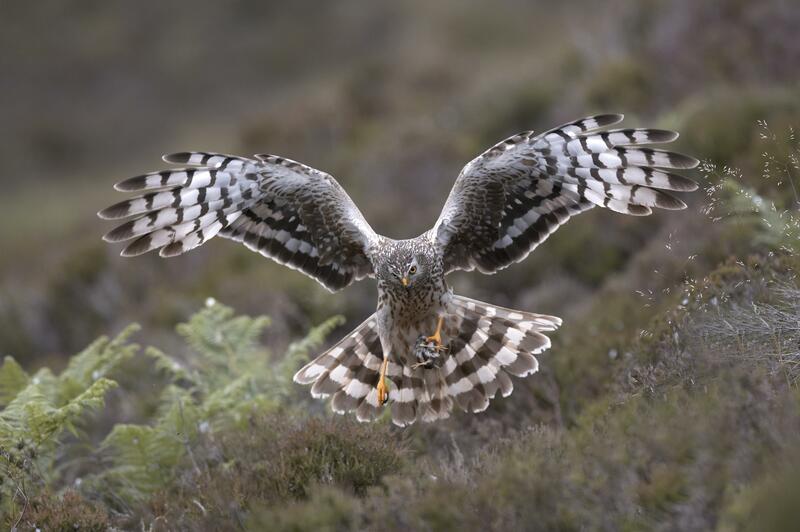 Nesting hen harrier can be seen at Clyde Muirshiel from April to August. Clyde Muirshiel Regional Park (“CMRP”) was formed in 1947 to bring together 108 square miles of countryside, which includes areas formerly managed for grouse shooting. The park is maintained under local authority control by a Joint Committee comprised of Councillors from Renfrewshire, Inverclyde and North Ayrshire Councils. Habitat restoration and wildlife biodiversity have successfully been achieved through partnerships with conservation organisations. The park subsequently plays host to healthy populations of many species, including stoats, ravens, hares, merlin, hen harrier, wheatear, meadow pipit and owls. RSPB Dovestone has boosted the numbers of breeding waders without grouse shooting. The RSPB estate includes at least two moors which were formerly used for grouse shooting. The Geltsdale Reserve in Cumbria is now upheld in the interests of conservation, playing host to many protected species of birds, including hen harrier, black grouse, lapwing, curlew and snipe. Visitors are taught about the importance of wildlife and walkers are free to enjoy the beautiful surroundings. The Dove Stone Nature Reserve in Greater Manchester sits on the edge of the the Peak District National Park. Here many specialist birds can be found, including curlew, lapwing, golden plover, peregrine falcon and raven86. The reserve has also made some remarkable achievements in increasing the breeding populations of red- and amber-listed waders through restoration of peat bogs. The reserve now hosts 50 pairs of dunlin -up from only 7 pairs in 2004, 110 pairs of golden plover – up from 59 pairs in 2004, and 36 pairs of curlew – up from 27 in 2010. Fylingdales Moor employs a number of rangers to look after the estate. Fylingdales Moor in North Yorkshire is a private moor which spans some 6,800 acres across the coastal region of the county. It forms part of the North York Moors National Park and is managed by the Hawk & Owl Trust, on behalf of the Strickland-Constable Estate. The moor was formerly managed solely for the purpose of grouse shooting, however that has now changed. Instead the area is upheld in the interest of wildlife, with protected species of birds at the reserve including curlew, golden plover, ring ouzel and merlin, in addition to various species of mammal, moth and butterfly. The land is accessible to walkers, who enjoy miles of walks through the picturesque scenery. Several park rangers help maintain the space for conservation, providing employment in the rural community.